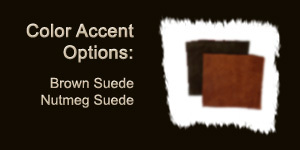 Made from 100% oilcloth and lined with 10oz cotton canvas, using solid brass hardware accented with your choice of brown or nutmeg calf skin leather waist band and cuffs. 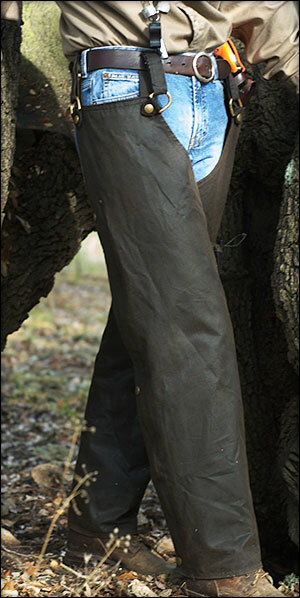 The chaps are water and wind resistant for those days the fields are wet, while giving protection from the brush. The chaps are lightweight and comfortable for both riding and walking. 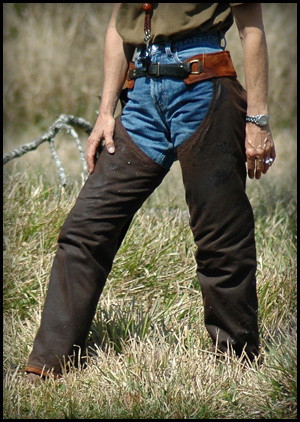 This style of chap is designed to fit with the waist band being worn just below the waist line and belt of your pants, as traditional western chaps are worn. 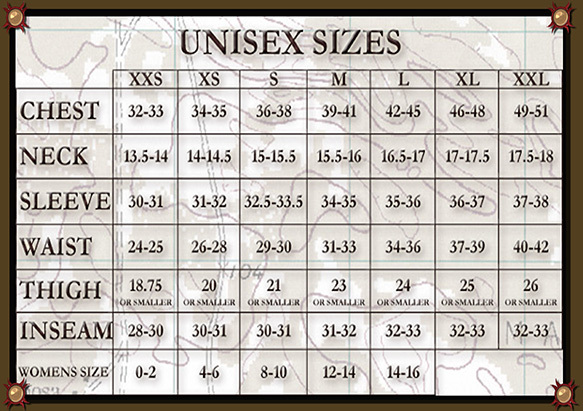 As you wrap the pant leg around and zip, the oilcloth leg should fit 2” below your crotch at the inseam. Designed in cooperation with Shannon Nardi of Dancing Dog Production and Justin Tackett, Event Creator Super Retriever Series broadcast on Outdoor Living Network. Designed as our first chaps but the retriever chap has belt loops instead of a waist band. This allows you to wear one leg at a time. The belt loops are adjustable using Velcro. Set the length once and snap. 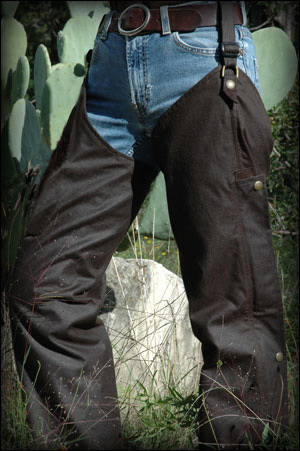 This style of chaps fit as the original chaps with the oilcloth leg falling 2” below the crotch at the inseam. Designed with our pro Ben Garcia of Hideaway Kennels, these chaps are a new style from our original chaps. Made from 100% oilcloth and lined with 10oz cotton canvas, using solid brass hardware accented with brown calf skin leather cuffs. The Field Trial Chaps are 1” fuller in the thigh area than our other chaps. 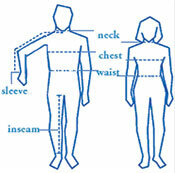 The inseam, when standing, fit to the crotch area falling 2” when you are sitting, giving the best fit. These chaps unzip to the hip and are secured with snaps. One side loop wraps over the belt on your pants and secures with a snap. The chaps are water and wind resistant for those days the fields are wet, while giving protection from the mud and brush. The chaps are lightweight and comfortable for both riding and walking.